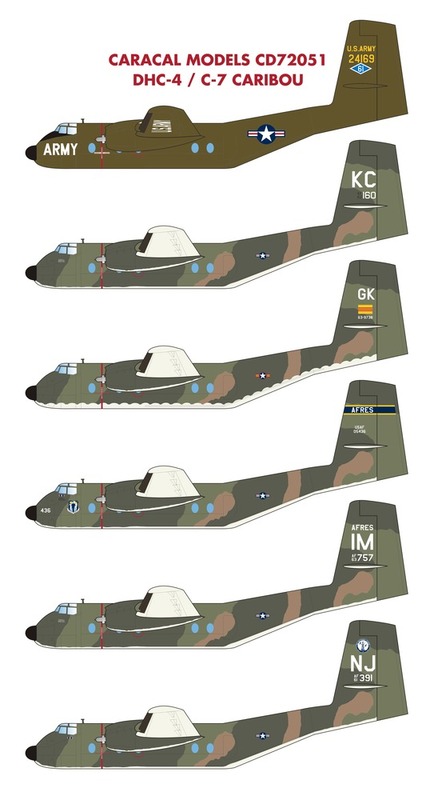 This decal set provides accurate markings for the Canadian-built DHC-4 (C-7) Caribou STOL (short takeoff and landing) transport that served the US and its allies with distinction in Vietnam. Six options from the Vietnam and post-Vietnam period are included.This sheet is designed for the 1/72 scale Hobbycraft kit. Stencilling for any one of the options is included. This sheet was professionally screen printed by Microscale in the USA.